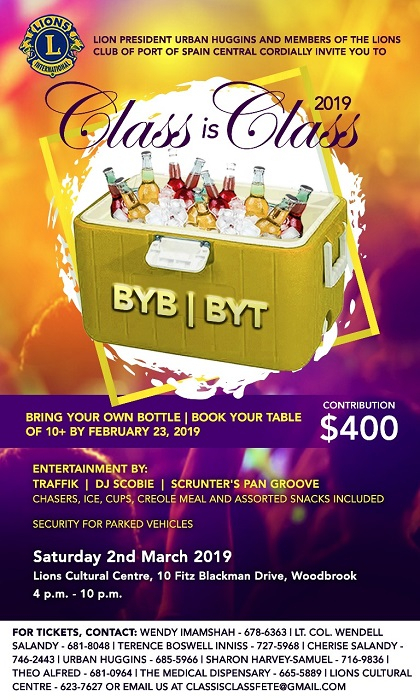 The Annual Class is Class Fete 2019 returns with, Bring Your Own Bottle-BYB, Book Your Table-BYT Semi-Inclusive Fete. 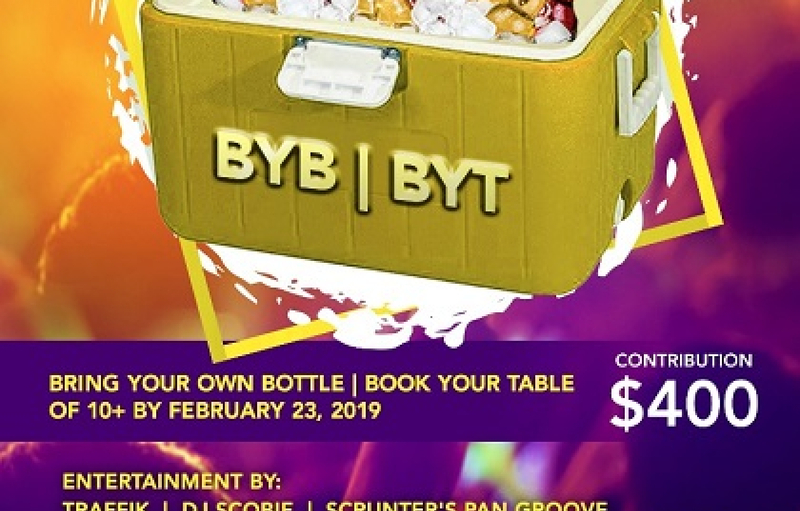 Chasers, ice, cups, creole meal, and assorted snacks included. All proceeds go towards charity. Email: ClassisClassfete@gmail.com for more details.